Over 30 attacks have been registered since the midnight. 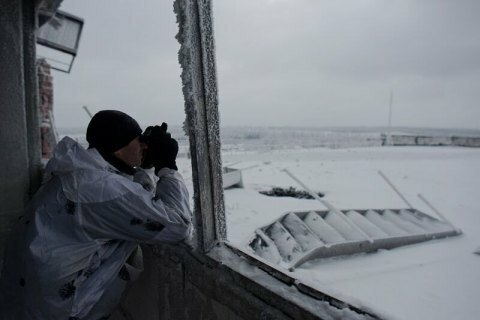 Since the beginning of 15 January, pro-Russian militants have carried out 32 attacks on the positions of the antiterrorist operation (ATO) forces in Donbas, the ATO HQ has said in its evening update. The militants have been observed to use 120-mm mortars in all sectors: Shyrokyne in the Mariupol sector, Troyitske in the Luhansk sector and Dolomitne in the Donetsk sector. They fired with grenade launchers, heavy machine guns and small arms on Pavlopil, Hnutove, Shyrokyne and Krasnohorivka, with grenade launchers and small arms on Novozvanivka and with anti-tank missile systems on Zolote, with grenade launchers, heavy machine guns and small arms on Zaytseve, Avdiyivka and Verkhnyotoretske. Snipers were active near Shyrokyne and Maryinka. On 14 January, the militants launched 60 attacks on the ATO positions, wounding three Ukrainian servicemen and killing one.